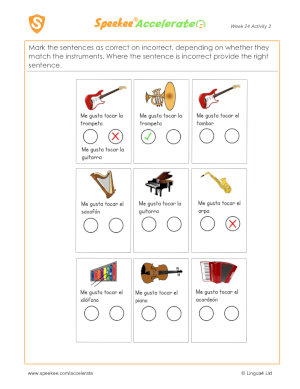 FREE Mark the sentences as correct on incorrect, depending on whether they match the instruments. Where the sentence is incorrect provide the right sentence. 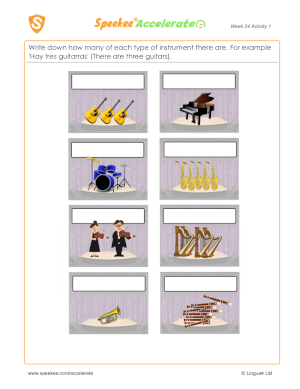 FREE Write down how many of each type of instrument there are. 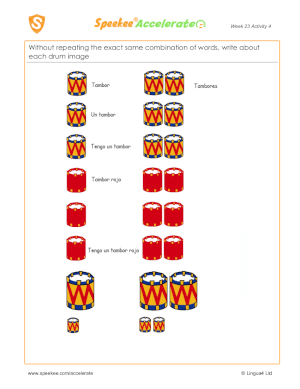 For example 'Hay tres guitarras' (There are three guitars). 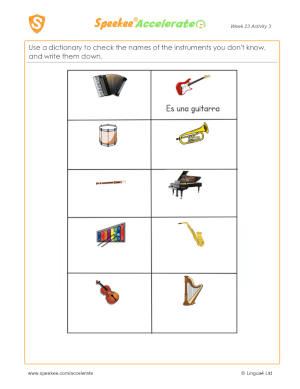 FREE Use a dictionary to check the names of the instruments you don't know, and write them down.